You will be able to Learn How to use a Split screen on Galaxy Tab S5e. Today we are here with Detail guide on Split screen features. Samsung One UI using buttons settings. First, access your currently opened apps by touching Recent. If you can’t find the Multi Window icon on an app, for example, Instagram, the app does not support Multi Window mode. you can touch APP LIST and then select your desired app. The second app should appear underneath the first app. If you want to use Multi Window in landscape mode, make sure Auto rotate is turned on and just turn your phone horizontally while in split screen view. 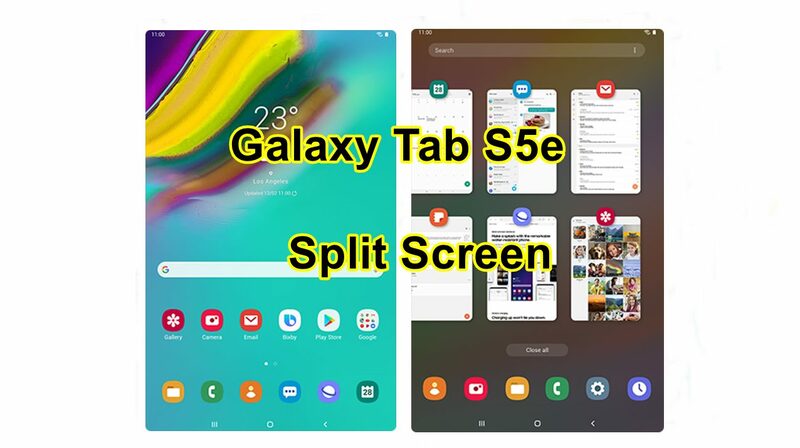 I hope to use to understand all about How to use Split screen on Samsung Galaxy Tab S5e. If you have any problem then ask in the comment box. We can solve your problem.